Now everyone can try her own beautiful nail art due to fast pace of changing fashion. 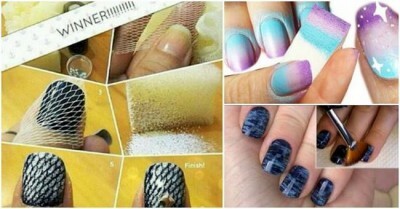 It means nail art is not a problem anymore and creating your own specific nail art is quite easy and wonderful. You can get a very astonishing nail art after emergence of so many design ideas. You can make your hair look very lovely after making combination of several colors. But you are not required to purchase several tools and equipments and hire a professional manicurist in order to get a beautiful nail art but you can easily transform your nails from ordinary ones to a really charming in no time by using few techniques and creativity. 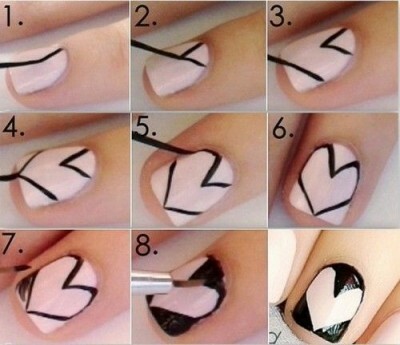 Below here, we are sharing step to step procedure that will ensure that nail art is not a difficult task now by anyway. Polish the color (or colors) on your nails by using an imbalanced makeup brush. You can make your polish suitable and thin for splatter by initially dipping it in polish and then in the nail polish remover. Apply purple as base color. 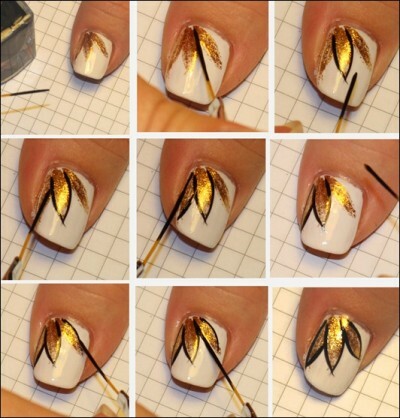 Cover the nails by using strips and then apply white nail paint. Use over coat to finish the procedure. 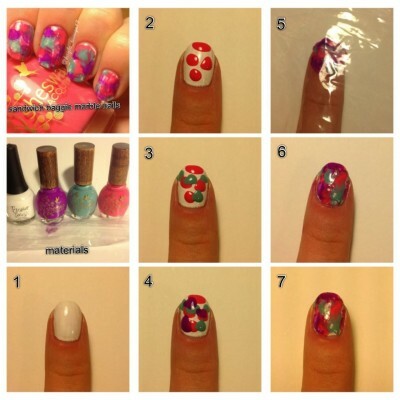 Follow the steps given below to create ocean look. You can use a fan brush for very thin and striped nails. After drying the nail base color, dip the brush in different color and horizontally apply this color on your nails. Now dry this color also and then apply any other color you would like.